Students interested in this career should enroll in a criminal justice program to absorb the most academic knowledge possible before heading to law school. Studying criminal justice as an undergrad is the right foundation to pursue this career. Judges oversee the legal process in the court of law and determine whether an individual is charged with a crime. The position is a demanding one, requiring a judge to sit in the courtroom for extended periods of time and give their undivided attention to each case; but it is a rewarding career. This position takes a number of years’ of experience and expertise in law. Once achieved, a judge will serve a fixed, renewable term, ranging from 4 to 14 years. There are a myriad of specific kinds of private investigators including financial investigators, legal investigators, computer forensic investigators, and corporate investigators. Each of these careers is distinct in his/her own regards. Financial Investigators focus on collecting financial information for individuals and companies that are attempting to make large transactions or in order to recover damages awarded by a court. Legal investigators arrange criminal defenses, locate witnesses, and serve legal documents. Computer Forensic Investigators will recover deleted emails, documents, and photographs. This also involves presenting information found on a computer as evidence. Corporate Investigators can conduct internal investigations for corporations such as drug use in the workplace and examine expense accounts to ensure that they are not being misused. They can also perform investigations externally, perhaps trying to stop fraudulent billing from a supplier. Criminologists study and consider various factors to understand why criminals commit the crimes that they do. They often take a psychological approach, paired with a biological and social method to understand more about an individual criminal, or a number of criminals. Through these methods, they attempt to evaluate motivation, patterns of action, and the demographics related to a crime. With that, they create a criminal profile that is used by law enforcement to judge similar criminals. After creating profiles, criminologists are required to write extensive reports on their findings. Related to criminology is forensic psychology. In the forensic field, a psychologist will use their understanding of human behavior to assist in crime scene investigations. They also study the habits of criminals in order to gain a better understanding of the criminal mind. They may also be asked to predict crimes or interview criminals and their loved ones. This highly-specialized position requires conducting extensive research to aid in solving an intricate puzzle of crimes. Often, forensic psychologists will treat incarcerated criminals for substance abuse problems or other mental illnesses. 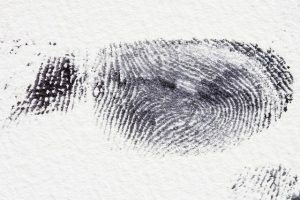 Learn more about how forensic psychology plays a role in criminal justice! The first step to taking a career path in criminal justice is to gain the education and knowledge needed to thrive in these careers. 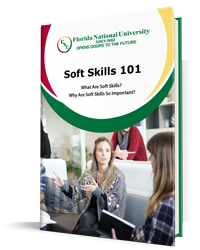 Those interested in these options should begin by studying criminal justice from an accredited university, such as Florida National University (FNU). Get started with an Associate of Arts degree, or go all out to obtain your Bachelor of Science. Setting careers goals is an important step for college students to consider, and planning for the future is one of the best ways to ensure you reach your goals. If you are ready to start learning about criminal justice, or if you are interested in another one of our programs, FNU, apply today! “District Court Judge: Employment Info & Requirements.” N.p., n.d. Web. 10 Nov. 2014. “Federal Bureau of Investigation.” Federal Bureau of Investigation. N.p., n.d. Web. 09 Nov. 2014. “Financial Examiners.” U.S. Bureau of Labor Statistics. U.S. Bureau of Labor Statistics, n.d. Web. 10 Nov. 2014. “Forensic Psychology Careers.” How To Become A Forensic Psychologist. N.p., n.d. Web. 09 Nov. 2014. “Intelligence Analysts.” Federal Bureau of Investigation. N.p., n.d. Web. 10 Nov. 2014. “Private Detectives and Investigators.” U.S. Bureau of Labor Statistics. U.S. Bureau of Labor Statistics, n.d. Web. 10 Nov. 2014.